We carry Replacement Brake Lines to meet or exceed your original equipment specifications. Each Brake Line includes the correct fittings for your vehicle's application and we guarantee a perfect factory fit with no modifications. 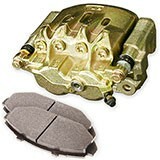 When installing new brakes, you should always check your Brake Lines for possible wear and oil leaks. Designed and tested for each application. 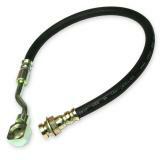 Brake Performance Replacement Brake Lines are guaranteed to fit your and factory vehicle. You can install them with no worries about factory fit or quality. We do recommend you have a certified mechanic install them for proper fit and function. If you have any questions or need assistance choosing the correct Brake Lines for your vehicle call our brake experts toll free at 866-756-5536. 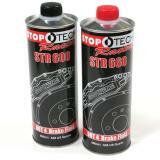 Recommended for any vehicle with factory Brake Lines. If you have any questions or need assistance choosing the correct Brake Lines for your vehicle, call our brake experts toll free at 866-756-5536.